In the historic building which was once the former Lowry Hotel, through a beautifully refurbished lobby, you will find the The Gray Duck Tavern. 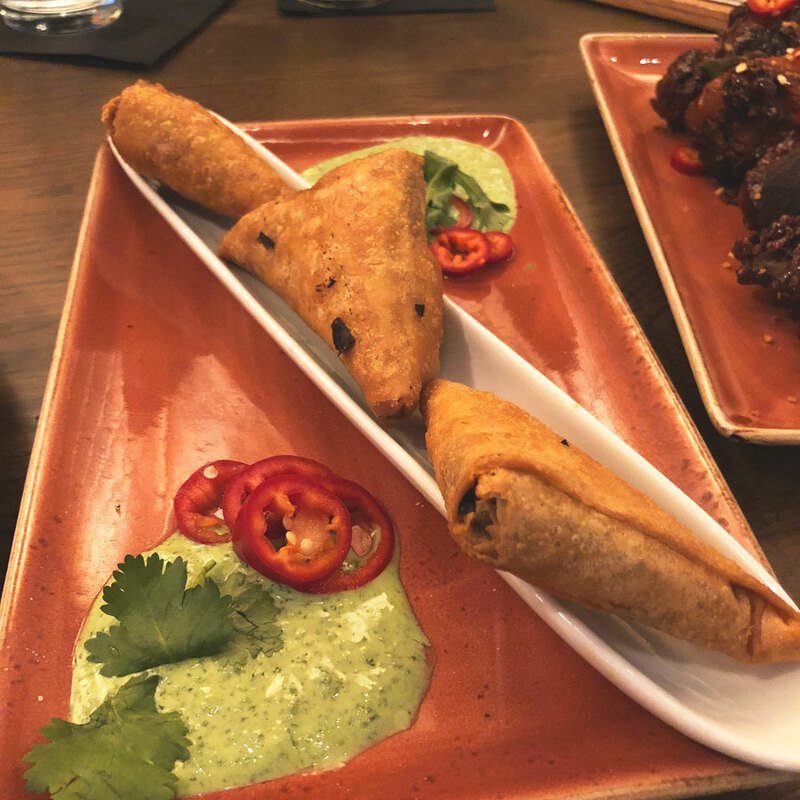 The decor and menu are very sophisticated, but still approachable for all; The Gray Duck is definitely not a sports bar, but you won’t feel too overwhelmed either. Quaint Perfection. The staff is kind and very willing to accommodate any needs your party may have. We came as a party of 3 and tried almost every happy hour appetizer (and then some). The small happy hour menu is simple and creative and has something for one or many to enjoy. The Gray Duck Tavern offers a fantastic and chic after work or late night happy hour special (especially awesome for later eves in downtown St. Paul – see also The Handsome Hog). I will be back soon and recommend this happy hour to anyone in the area at the time. The collective favorite of all the happy hour food menu items from our table. I also think the wings are the best bang for your buck, if you were planning to get only one thing. 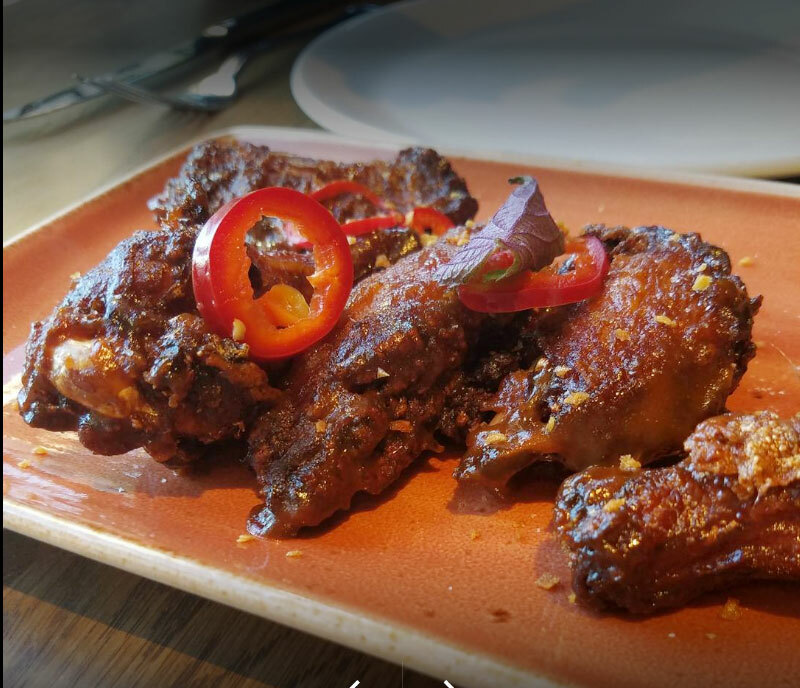 Gray Duck’s chicken wings are not overly spicy and have a citrusy tamarind flavor. They come topped with red peppers which are a nice touch if you need an extra spice kick. Priced per samosa this is a nice way to get something filling yourself or a few to share. They come out from the kitchen warm with a flaky outside and spiced beef inside. Served also with jalapeño yogurt sauce which really adds a lot (if the word ‘yogurt’ scares you think of it as spicy ranch). Gray Duck really out does themselves on the cigar theme. Think of a crispy, more unique Cuban Sandwich. I love the way this one comes served, presented on an elaborate glass ashtray. You could call it a “cuban egg roll”, but that would not be as fun. 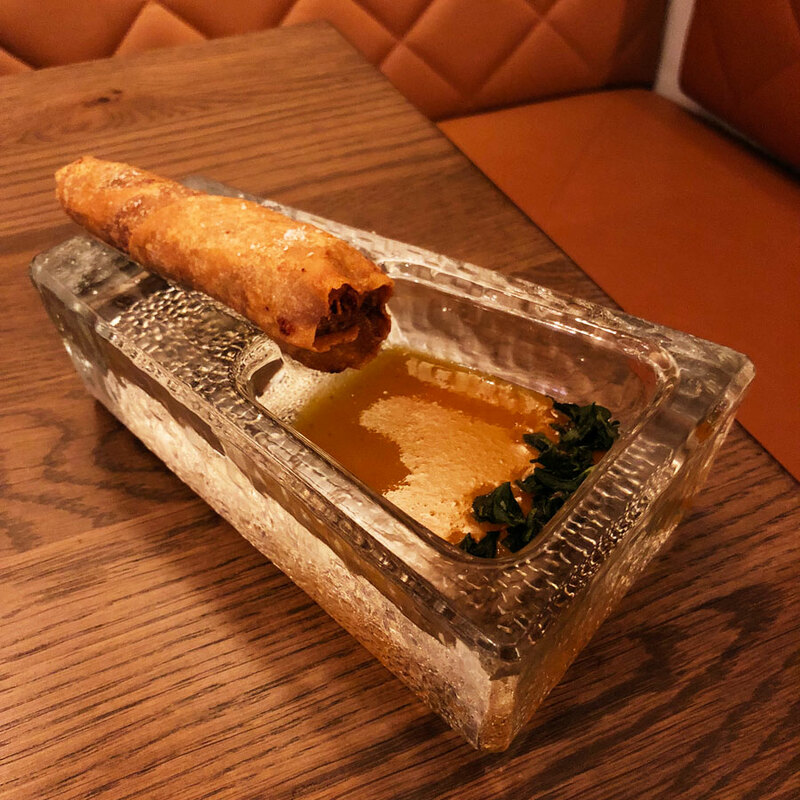 The cigar comes with a side of orange mojo sauce, which is like sweet and sour sauce and is a perfect accompaniment. The only crafted cocktail on the happy hour menu. Served in a low ball with ice and a lime slice. This cocktail is a citrus forward house made tonic and Greenall’s London Extra Dry Gin. Its a fresh take on a classic cocktail. Putting the effort into serving a house crafted tonic is the attention to detail that will make Gray Duck stand out for years to come. Planning a visit? download our app to always get updated food & drink specials and make sure these specials are current.